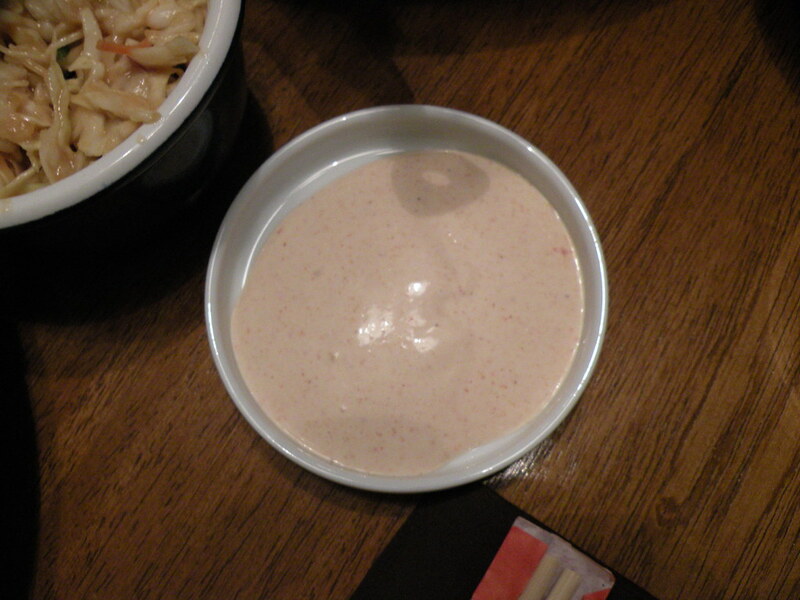 one of my favorite staples of hibachi grill is yum yum sauce. it’s not asian at all, and it isn’t really that healthy but it is so stinkin good. it’s pretty simple to make at home, as long as you let it refrigerate over night. first off, this sauce compliments fried rice really well. the first thing to do is cook up some rice. take it out of the pan and allow it to cool. in the same pan, add 1 tbsp vegetable oil and cook 1 scrambled egg per every 2 servings. break up the egg into very small pieces. return the rice to the pan, add soy sauce and you have fried rice. now on to the yum yum sauce! in a small bowl, whisk all of the ingredients together, minus the butter. you’ll want to temper the butter before you whisk it into the mix. allow to return to room temperature before serving.